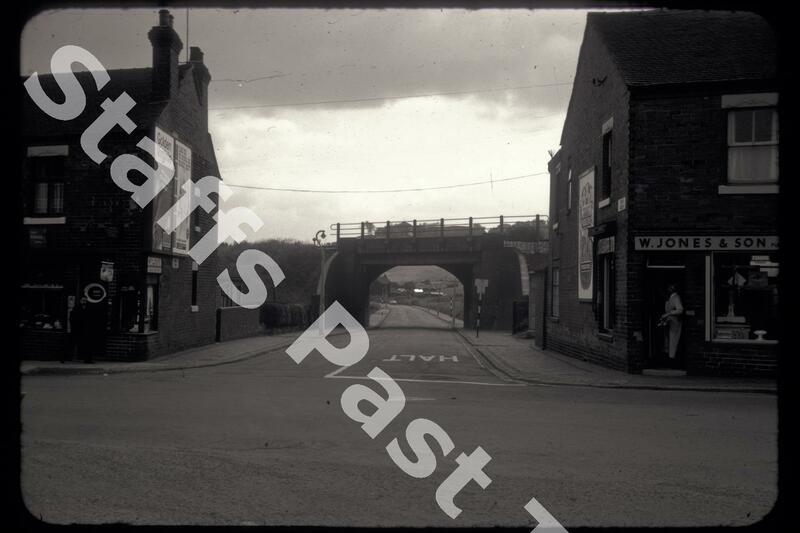 Description:This is a view under the railway bridge in North Street from Shelton New Road. The North Staffordshire Railway's original Act of 26 June 1846 included a provision for building a branch line from Stoke to Newcastle-under-Lyme. This line opened on 6 September 1852 and the bridge carries this line which became the Stoke, Silverdale, Market Drayton branch line. It ran from Cockshute (to the left) via the Hartshill Tunnel to Newcastle (right). 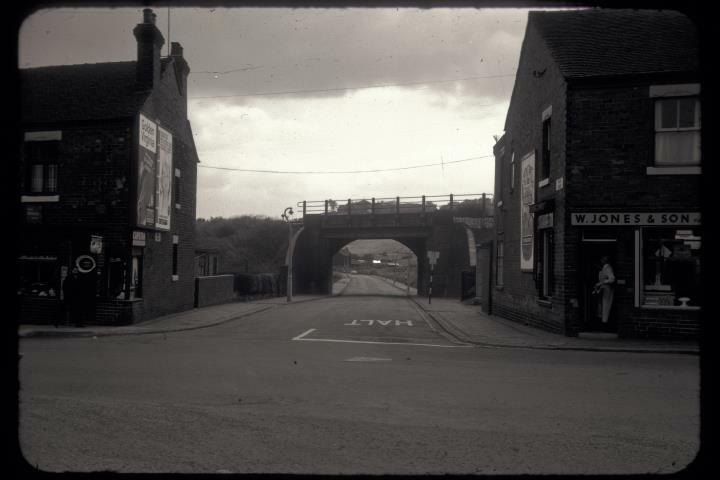 Just to the right would have been Hartshill and Basford Halt, a station which closed in 1926. North Street runs from here to Shelton Old Road. Under the bridge to the right is Hartshill Park. The North Street junction is much changed with realignment of Shelton New Road and the building of the A500 (Queensway): houses and shops have been demolished. W Jones was a grocer and butchers at 283 Shelton New Road, and opposite, the typical corner shop.